At the center of Geva Theatre Center are artists and patrons. People. Geva engages over a hundred actors, directors, designers and writers each year to create memorable productions for our patrons. Some of these artists live in Rochester, and many live in other parts of the country but call Geva an artistic home. 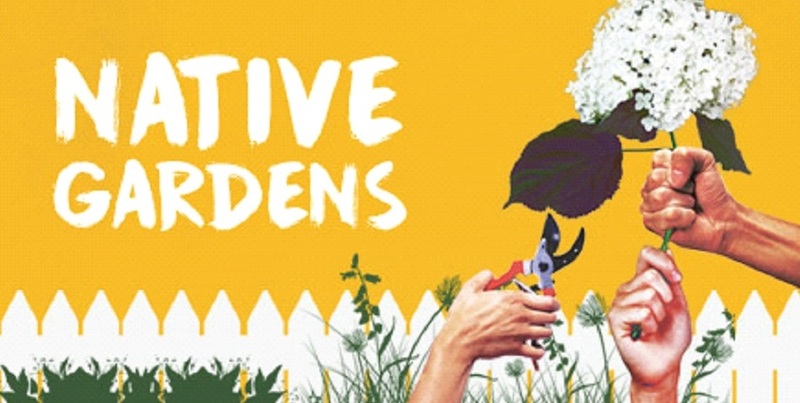 The core artists not only collaborate on all the season planning each year, but participate in their own area of discipline on many of Geva’s productions. The artistic brand of Geva is defined by these core artists. Mark Cuddy is in his 22nd season as Artistic Director of Geva Theatre Center. He has led Geva through a renaissance of artistic and institutional growth with a diverse repertory, topflight artists, wide-reaching educational programs and a commitment to new play development. Mr. Cuddy is a founding member of the Board of Directors for the Rochester Fringe Festival, and served on the Board of Directors of the only national service organization for non-profit theatres, Theatre Communications Group. From 2013-2015 he was the Producer and Chief Executive of The Cape Playhouse in Dennis, MA. As a director, Mr. Cuddy is known for his productions of musicals, contemporary comedies and premieres: recent Geva productions include To Kill a Mockingbird, the world premiere of The Road to Where, Good People, Clybourne Park, A Midsummer Night’s Dream, The Agony and the Ecstasy of Steve Jobs, You Can’t Take It With You, A Christmas Carol (which he also adapted), Superior Donuts and Company. Among his many other Geva credits are The Music Man, Sweeney Todd, Fences, FiveCourse Love, A Christmas Story, and Pride and Prejudice (co-adaptor), and the world premieres of Convenience (musical) by Gregg Coffin, Theophilus North by Matthew Burnett from Thornton Wilder (also at Arena Stage), Splitting Infinity by Jamie Pachino, Famous Orpheus by Oyamo (choreography by Garth Fagan), House and Garden by Alan Ayckbourn (East Coast premiere), and That Was Then (American premiere). 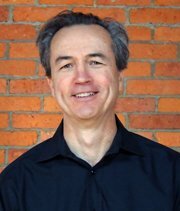 Mr. Cuddy has also served as Artistic Director of Sacramento Theatre Company, Producing Director of the Idaho Shakespeare Festival and on the directing staff of the Denver Center Theatre Company. Mr. Cuddy received the 2013 Performing Artist Award from the Arts and Cultural Council for Greater Rochester. He received his B.A. in Theatre/Honors from the University of Massachusetts where he was a Commonwealth Scholar. He resides in Rochester with his wife, theatre and visual artist Christina Selian, who teaches sewing crafts to children in their Highland Park home. Their older son, Maximilian, is in the PhD program in the University of Illinois, Chicago Sociology Department. Their younger son, Augustus, was the Rehearsal Assistant for A Funny Thing Happened on the Way to the Forum. 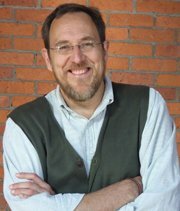 Skip Greer serves as Artist in Residence and Director of Education at Geva Theatre Center. For Geva he has acted in The Music Man(Mayor Shinn), Evie’s Waltz (Clay), Hamlet (Ghost, Player King), 1776 (John Hancock), House and Garden (Giles), Art (Serge), Twelve Angry Men (Juror #1), A Girl’s Life (Ken), Every Good Boy Deserves Favor (Alexander), The Illusion (Alcandre), Picasso at the Lapin Agile (Sagot), and State of the Union (Spike McManus). Directing credits at Geva include Freud’s Last Session; On Golden Pond; Over the Tavern; Almost, Maine; the world premiere of The House in Hydesville; American Buffalo; the world premiere of Key West; Death of a Salesman; Lobby Hero; Below the Belt; The Weir; Women Who Steal; Beast on the Moon; The Triumph of Love; and Geometric Digression of the Species (for the Nextstage opening). This season, he will direct Last Gas. Regional credits include seven seasons in the resident acting company of Sacramento Theatre Company, San Jose Repertory Company, Oregon Shakespeare Festival, American Conservatory Theatre, Utah Shakespeare Festival and Pacific Conservatory of Performing Arts. Film and TV credits include “Bloodhounds,” “LA Law,” and “VR5.” Mr. Greer has toured Europe, Africa, Indonesia, New Zealand, Australia and the Cook Islands teaching and performing. Jenni Werner is in her seventh season as the Literary Director and Resident Dramaturg at Geva Theatre Center. By the end of this season, Ms. Werner will have served as the dramaturg on twenty-five Geva productions, including world premieres of plays by Wendy MacLeod, Deborah Zoe Laufer, Cass Morgan, Nora Cole and Jamie Pachino. She also produces Geva’s Festival of New Theatre, manages Geva’s play commissioning program, leads the development of new plays at Geva, and co-produces the Hornets’ Nest reading series. In 2015, she co-produced Geva’s four day blues festival celebrating the life and legacy of Son House, Journey to the Son. Previously, she served as the Director of Programming at Theatre Communications Group (TCG), the national organization for the non-profit theatre field. 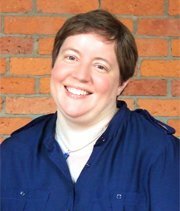 From 2005-2011, Ms. Werner produced TCG’s annual National Conference, curating the content and organizing the logistics for the largest national gathering of professionals in the non-profit theatre field. For six years, she was also an adjunct instructor in the Program in Educational Theatre at New York University, and the resident dramaturg of NYU’s Looking for Shakespeare program for high school students. She is now an adjunct instructor in the English department at the Rochester Institute of Technology, and has also taught at SUNY Geneseo and the College of Brockport. She has an M.F.A. in dramaturgy from the University of Massachusetts at Amherst and a B.A. in theatre and history from Knox College in Galesburg, Illinois. Ms. Werner proudly serves on the board of directors for ImageOut, Rochester’s LGBT Film Festival. 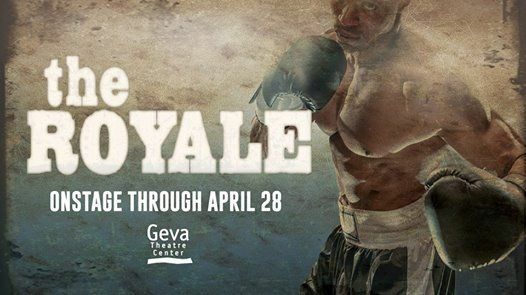 Affiliate Artists work at Geva occasionally as guests, and over a sustained period of time have established themselves as representative of Geva’s artistic mission. Gregg Coffin’s musicals (Right Next To Me, Five Course Love, Convenience, A Christmas Carol, Cinderella, The Daly News) and over one hundred incidental scores have been produced Off-Broadway and throughout the U.S., Canada, and South Korea, including the Minetta Lane Theatre, the Duke on 42nd Street, the John Houseman Theatre (NYC), ChungMu Art Hall (Seoul), The Stratford Festival of Canada, The Canadian Stage, The Tarragon Theatre, The National Arts Centre, Manitoba Theater Center, Theatre New Brunswick (Canada), Geva Theatre Center, Denver Center Attractions, Denver Center Theatre Company, Indiana Repertory Theatre, The Human Race Theatre, Arena Stage, Alley Theatre, PCPA Theatrefest, Shakespeare Santa Cruz and the Oregon, Utah, California, Alabama, Georgia, St. Louis and Great River Shakespeare Festivals. He is a member of Actors Equity Association, the American Federation of Musicians, the Game Network Audio Guild, and the American Society of Composers and Lyricists. Paul Fouquet of Elissa Myers Casting, is an Artios Award-winning Casting Director. He has been a Casting Director for over 30 years. His credits include many Artios Nominated Broadway shows, over 25 Off-Broadway shows, as well as MOW’s, Pilots, Mini Series, and Emmy Award-winning Bio-Pics. Elissa Myers’ Office has so far received 16 nominations and has won 3 Artios Awards for “Outstanding Achievement in Casting.” Paul is a native of Rochester, NY. In addition to casting Paul coaches and teaches a weekly monologue class in New York City. As well as adjunct for Dartmouth College and Case Western Reserve. Don Kot is Resident Music Director and Affiliate Artist at Geva Theatre Center where he celebrates his seventeenth season! Geva productions include In the Heights, The Marvelous Wonderettes, A Funny Thing Happened on the Way to the Forum, Little Shop of Horrors, The 25th Annual Putnam County Spelling Bee, All Your Questions Answered (world premiere), Next to Normal, Avenue Q, Company, The Music Man, Five Course Love, Sweeney Todd, Cabaret, Urinetown, A Chorus Line, Camelot, 1776, A Christmas Carol, Sister’s Christmas Catechism, Convenience and as part of the Festival of New Plays, The Shaggs: Philosophy of the World, One For My Baby, right next to me, Tomorrowland and An Evening with Mrs. Kasha Davis, International Celebrity Housewife. He was also vocal coach and music arranger for Private Lives, Katherine’s Colored Lieutenant (world premiere), The Odd Couple, Informed Consent, You Can’t Take It With You, A Midsummer Night’s Dream, The House in Hydesville, Our Town, and Inherit the Wind. Mr. Kot has performed Off-Broadway at the Alice Griffin Jewel Box Theatre at Pershing Square Signature Center, 45 Bleecker Street Theatre, Laurie Beechman Theatre, and at the Toronto Fringe Festival. Other regional credits include The Music Man, The Best of Forbidden Broadway, Smokey Joe’s Café, Leader of the Pack, Honk!, and The Most Happy Fella. National touring productions: Fosse, Footloose, Fiddler on the Roof, The King and I, Mamma Mia, and Hairspray. Mr. Kot is the Coordinator of the Musical Theatre degree program at the State University of New York at Geneseo. G. W. (Skip) Mercier is honored to be an Affiliate Artist at Geva Theatre Center where he designed The Music Man; Pride & Prejudice; Cabaret; Urinetown; Our Town; Vigil; 1776; Splitting Infinity; Camelot; Five Course Love; Theopholis North; The Miser; Quilters; and The Beauty Queen of Leenane. In New York, he designed, Juan Darien: A Carnival Mass (Tony & Drama Desk Nominations); Miracle Brothers; Five Course Love; People Are Wrong; Wilder; Eli’s Comin’; Dream True (Drama Desk Nomination); True History & Real Adventures; You Don’t Miss The Water; The Waiting Room; Bed & Sofa (Drama Desk Nomination); Por Knockers; The Party; Lady Bracknell’s Confinement; Hannah, 1939; Urban Zulu Mambo; Catch Me If I Fall; Groundhog; The Red Sneaks; The New Americans; Winter Man; The Loman Family Picnic; The Tempest; Taming of the Shrew; Macbeth; Lemon Sky; Evening Sky; and Judgement. Mr. Mercier thrives on collaborating with amazing writers, composers, directors, partner designers, and actors creating original work or making established shows seem new. He and his family live in Connecticut. B. Modern has been affiliated with Geva Theatre Center for over 15 seasons. She has designed over 20 Geva productions including On Golden Pond, Last Gas, Over the Tavern, The House in Hydesville, A Christmas Story, Dial M for Murder, Death of a Salesman, The Brighton Beach Trilogy, Proof, Ghosts, The Miser; The Two Gentlemen of Verona, The Importance of Being Earnest, Twelve Angry Men, My Fair Lady, The Illusion, The Comedy of Errors, and A Christmas Carol. Ms. Modern is also an Associate Artist and has designed over 45 productions at Santa Cruz Shakespeare, CA. Regional theatre credits include costume designs for Oregon Shakespeare Festival; Denver Center Theatre Company; American Players Theatre, WI; TheatreWorks, CA; Indiana Repertory Theatre; San Jose Repertory Theatre; Asolo Repertory Theatre, FL; The Old Globe Theatre, CA; Repertory Theatre of St. Louis; The Magic Theatre, CA; Georgia Shakespeare Festival; Berkeley Repertory Theatre; Syracuse Stage; Idaho Shakespeare Festival; and Sacramento Theatre Company. Opera design credits include productions at Opera Theatre of St. Louis and Opera San Jose. Ms. Modern has taught at the Universities of California, Berkeley and Santa Cruz and San Francisco State University. She shares a home and studio in Santa Cruz, California with three cantankerous cats. Melissa Rain Anderson has appeared in numerous productions at Geva and directed productions of In the Heights, A Funny Thing Happened on the Way to the Forum (featuring 2 Ring Circus) and The Marvelous Wonderettes also 2015’s hit production of Monty Python’s Spamalot! and the 2014 production of The 25th Annual Putman County Spelling Bee. Regional credits include A Christmas Carol at the Denver Center Theater Company ‘16 ’17; The Cocoanuts at Utah Shakespeare Festival; Spamalot! and The Little Mermaid at Arkansas Repertory Theatre; the Houston premiere of Next to Normal (Houston Press Award Best Musical) as well as the entire Wonderettes Series including the World Premiere of The Marvelous Wonderettes: Dream On at Stages Repertory Theatre; Always….Patsy Cline at PCPA Theatrefest, The Comedy of Errors, The Fantasticks and The Complete Works of William Shakespeare (abridged) at the Great River Shakespeare Festival. Upcoming projects include Marvelous Wonderettes: Caps and Gowns on Geva’s Fielding Stage; The Marvelous Wonderettes at Repertory Theatre of St. Louis; Seussical (featuring 2 Ring Circus) at Cape Fear Regional Theatre and Big River at Utah Shakespeare Festival. Ms. Anderson lives in New York City with her husband, actor Jim Poulos. Please visit melissarainanderson.com. Dan Roach has, since 1988, worked on sound for numerous productions at Geva Theatre Center, NTID’s Theatre for the Deaf, SUNY Brockport, and Keuka College. Most recent productions at Geva include The Diary of Anne Frank. At Wit’s End; Private Lives; To Kill a Mockingbird; Miracle on South Division Street; Red; The Mountaintop; Katherine’s Colored Lieutenant; The Odd Couple; Stranded on Earth; Last Gas; The Agony and the Ecstasy of Steve Jobs; Freud’s Last Session; You Can’t Take It With You; Perfect Wedding; On Golden Pond; Over the Tavern; Almost, Maine; Dracula; the Shape of Evil with PUSH Physical Theatre; Evie’s Waltz; Dial M for Murder; The Underpants; Nine Parts of Desire; Doubt and A Christmas Story. He studied sound at Berklee College of Music in Boston and has been applying that knowledge to theatre over the past 30 years. He is a resident of Brighton where he lives with his beautiful wife Jing. Geva Theatre Center’s artist/educators are integrated into the theatre’s education programming to teach Geva’s artistic work to students in a variety of settings. Each year, Geva’s education and community programs serve over 16,000 students with in-school workshops, theatre trips, artist visits and demonstrations. Geva Comedy Improv, Geva Theatre Center’s resident improv troupe, premiered on the Fielding Nextstage at Geva Theatre Center in September 2003. Since that time, GCI has developed a reputation of producing hilarious and innovative on-the-fly theatre shows that leave audiences salivating and/or crying. Geva Comedy Improv boasts an aggressively vibrant cast of local actors and a warmly inviting atmosphere. GCI shows incorporate a variety of improv styles, ranging from energetic short-form to daring full-length improvised plays. The tickets are cheap, but the laughter is priceless. Good times are had by all. Follow their antics on their Facebook or at www.gevacomedyimprov.org.